The newer Graph Search in Facebook can help you find friends in specific cities, photos of a particular subject, restaurants that your friends liked, and a whole lot more. One thing it can't help you with just yet is searching public posts on Facebook, which you could do in the previous search version. Actually, some users do have the option to search public posts with Graph Search, but it's very limited and doesn't include me. If you're like me and don't have access yet, there is a workaround, but it takes a little work. Once you get passed the initial steps, future searches will be a cinch. 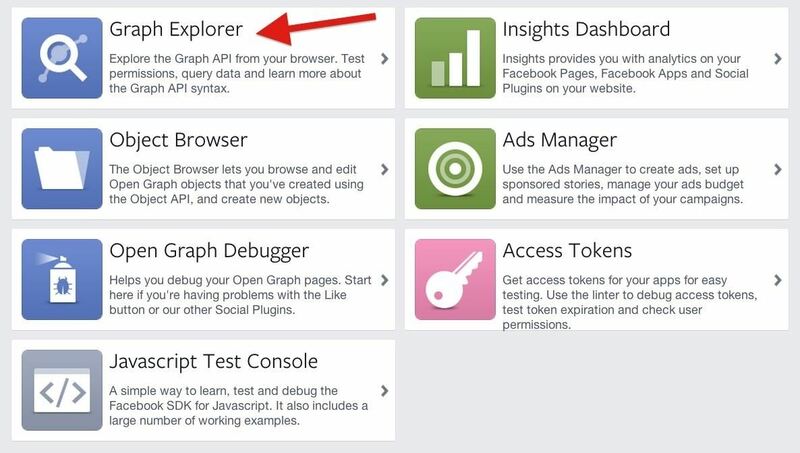 To perform public post searches, we'll be using the Graph API Explorer tool available on the developers section of Facebook. You can find it on the Tools page, or you can click here to go directly there. By default, the "GET" field will have "me?fields=id,name" listed, but you'll need to change that to "search?q=" to perform a basic search. To make the process easier, just use the following link to get there. Now, before you actually get to searching, there are still a few other things we have to do before proceeding. Once it's all done, there will be a shortcut you can use to perform searches, but we'll get to that after the initial setup. You'll need to change the "API Version" from "v2.0" to the old-style "v1.0" search function to get this to work. If you don't change it, you'll get an error. You can also use the "Unversioned" one if you want. If you try to perform a search now, you'll get another error code, so head to the next step to fix this. 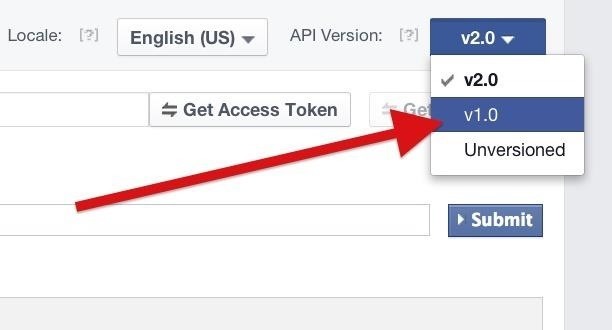 To use the Graph API Explorer, you'll need an access token. Go ahead and click on the "Get Access Token" to get one. Don't check anything in the lists. 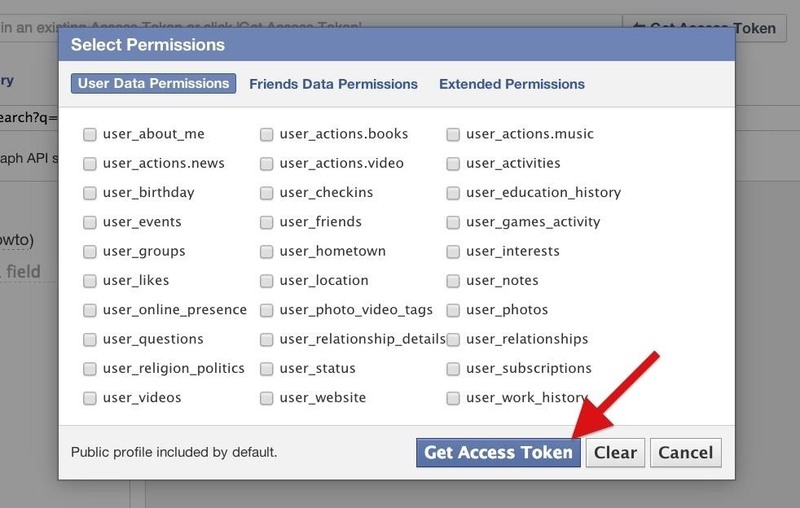 Ignore all of that and just hit the second "Get Access Token" button to proceed. When the log in page appears, select "Okay" to give the Graph API Explorer app access to your public profile (name, profile picture, age range, gender, language, country, etc.) and friends list (which anyone can actually access using this friends list hack). You can always remove permissions later on the Apps Settings page. Afterward, you will see a very large alphanumeric code in the "Access Token" field. This is what allows you to do the search you're about to perform. If for some reason the next step doesn't work for you, try clicking on "Debug" and debugging your access code, then try again. This is the easy part. After the "search?q=" part in the search box, just enter your word(s) and hit the "Submit" button. You'll see a bunch of code appear in the gray box below. 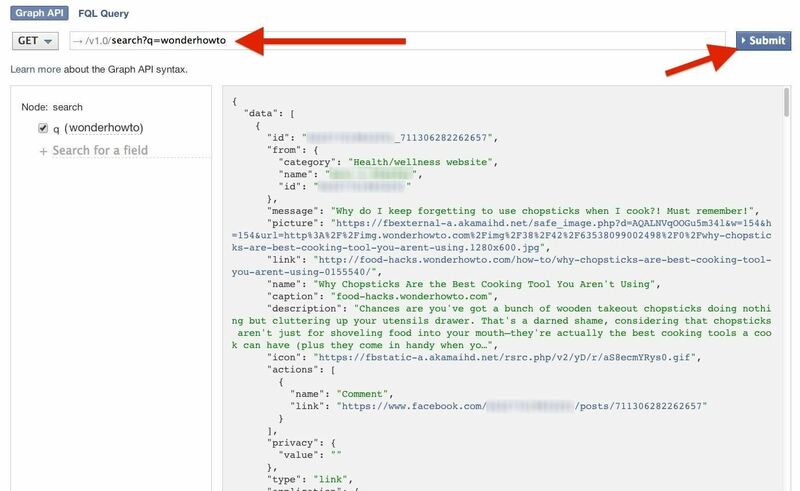 The code in this box is displayed in JSON, but all you need to worry about is finding the URL of the public post. Just right-click on the "link" portion of the code and select "Open Link in New Tab" to view the public post in its entirety. Now, if you want to find out who posted about your particular search term first, it's more than likely going to be on your first attempt. Just look for the "via" link and go check it out on their page. If you don't care what the original post is, or if there even is one, then you're free to search the remaining search results. 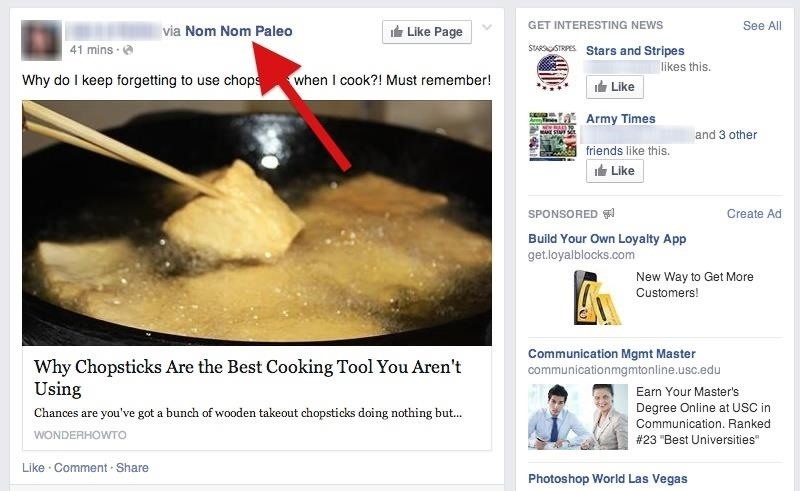 If you're hunting for the original share, then you'll probably see it in the results, but choosing the first one is faster. Just look for the "link" and you're golden. 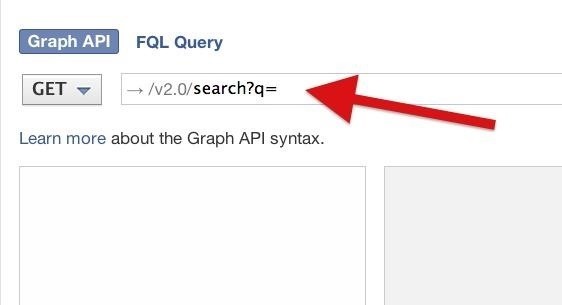 Now that you've given the Graph API Explorer access to your profile, you can shorten things up by just using the link below, replacing the search query with your own in-between the "%3D" and "&version=v1.0". You will still have to hit the "Submit" button to perform your search, and if you don't see an Access Token, you will have to repeat that process before the search will work, but since you have given the Graph API Explorer permissions, it'll be a whole lot faster. You'll have to create a dev account to use some of these tools. You can find info on that here. 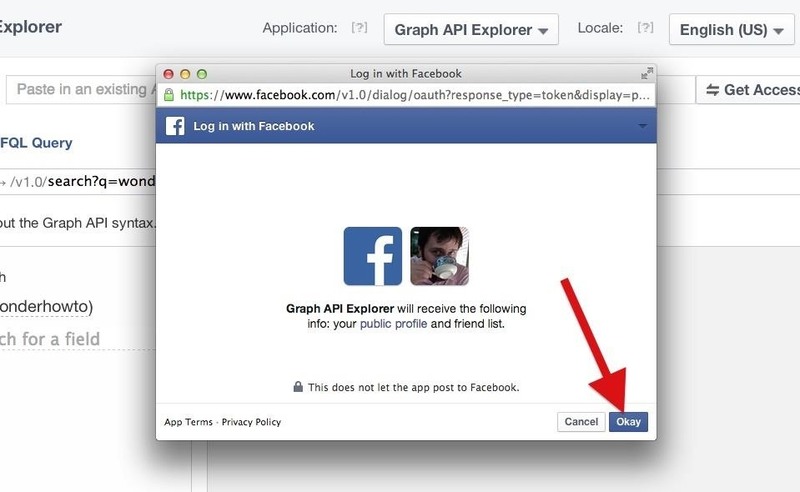 Afterward, you'll need to allow the Graph API Explorer permissions. This search method isn't an option anymore. 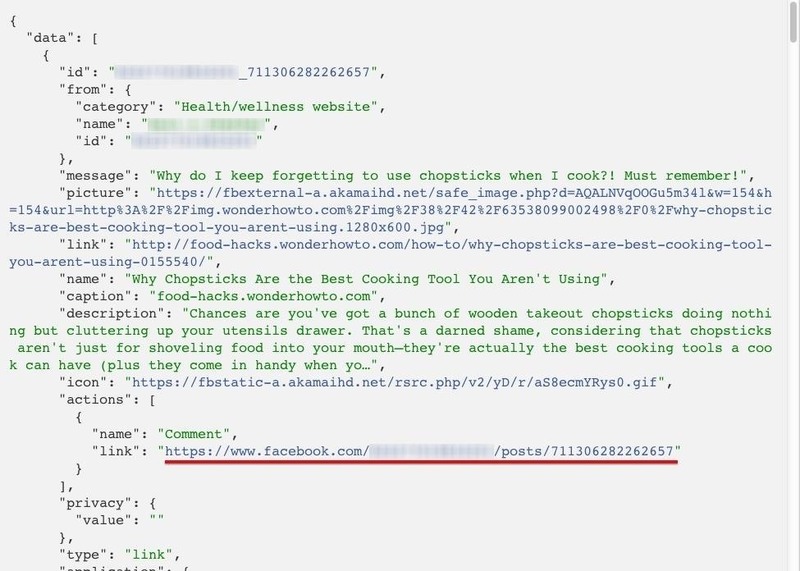 I think the only way would be using Facebooks Public Feed API https://developers.facebook.com/docs/public_feed/ to receive all public posts and then parse them. I think thats something only for the dedicated server enabled.